Charleston went into a decline after the earthquake of 1886 and remained depressed into the mid-20th century. There was a bakery on the first floor of what’s now the Heyward Washington House Museum and the buildings around it became tenements for the poor. That “great brick structure” was a pre-Revolution building next door to the Heyward house, called Cabbage Row for the cabbages that grew in front. 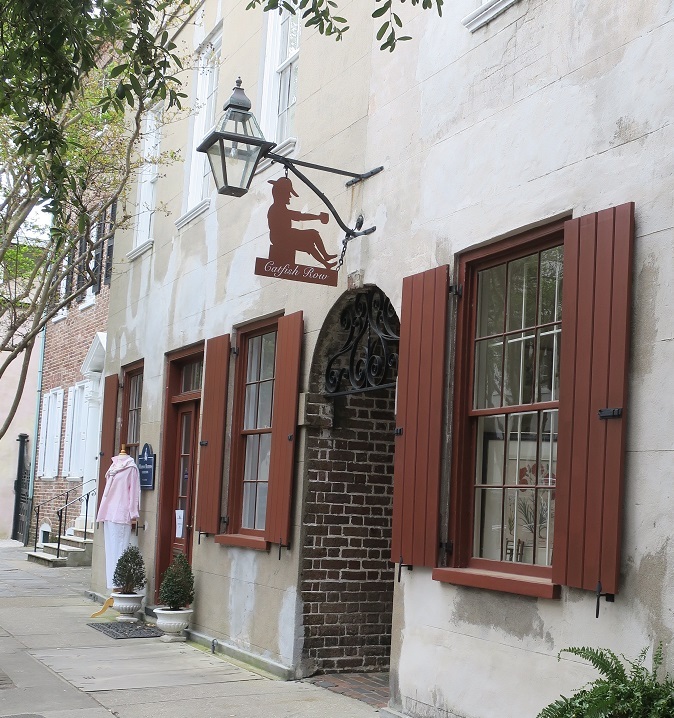 Novelist DuBose Heyward, of the Heyward Washington House Heywards, made the building famous when he used it as the setting for his book (which became a play and an opera) about the African American community in Charleston in the 1920s and, in particular, a couple named Porgy and Bess. Heyward lived on Church Street, not far from Cabbage Row, and it’s said that he drew inspiration from watching the residents of Cabbage Row go about their daily lives. He changed the name Cabbage Row to Catfish Row when he moved the setting from Church Street to Folly Beach, 11 miles south of downtown Charleston. The building now houses upscale shops and seven figure residences.